If you love cats, you need to see the movie Kedi. 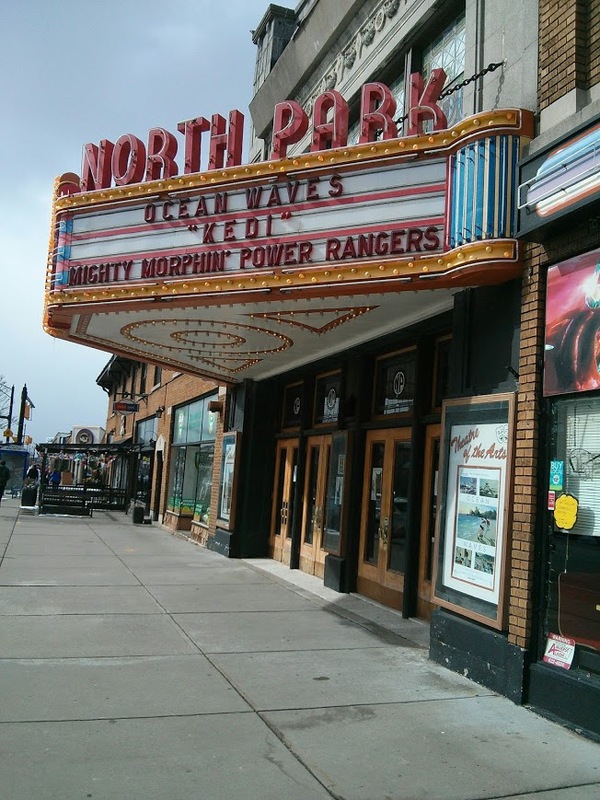 When I heard the historic North Park Theater in Buffalo, NY was screening it, I just had to go! The North Park Theater is a neighborhood movie house that has beautiful Art Nouveau paintings on the ceiling and a classic neon marquee out front. I haven't been there in years and was looking forward to see all the renovations since the last visit. You can find all the information on the North Park here. 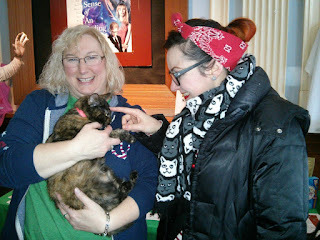 There was a bonus too ~ Cats from the Ten Lives Club were on hand in the lobby before the movie, so you can bet I went early to pet the kitties! The Ten Lives Club is the second largest cat adoption site in Western New York next to the SPCA. My business ~ Cats Like Us ~ has helped them out by donating gift baskets to events such as the one coming up April 1, 2017 called Tats For Cats. You can see the event page here. This is Cordelia, she was a sweetheart. Super chill kitty. The documentary Kedi is about how stray cats in Istanbul are just a way of life. Makes you want to live there right?! 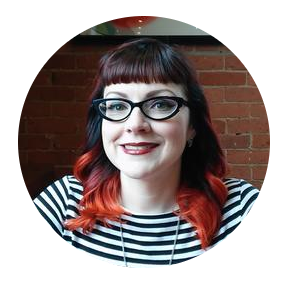 The movie interviews people and their connection to a specific stray cat that chose them. Cats pick you, and you might want them to go away, but they don't. The cats are carefree and don't have "owners" necessarily, but just the people in their lives. I was surprised at how many people take it upon themselves to make food for the cats, tend to kittens, and even seek out medicine for these cats if they need it. If you show a cat love they will love you in their own way. Cats are very much like people with their own personalities. It's inspiring how stray cats can impact your life for the better. Warning: There is a very sad part in the middle of the movie when someone finds a dead kitten. They take it to one of the people that's being interviewed and in turn, that person takes it to a clinic, presumably to be buried. Ugh, I cried. I was hoping they would check in with the kitten at the end of the movie and that it was brought back to life. Didn't happen. Otherwise it was great. It's a gorgeous film, and I have no idea how they were able to follow around these cats without the cats caring at all. Ahhh to be a cat. I cried at the kitten part too, it was so sad. I cried over the kitten as well....how could you NOT!? I couldn't agree more! EVERYONE needs to see this movie. 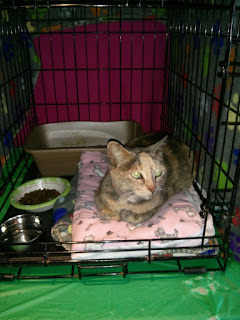 So many cats and everyone collectively takes care of them, it's so awesome to see. Have You Checked Your Wish List Lately? !